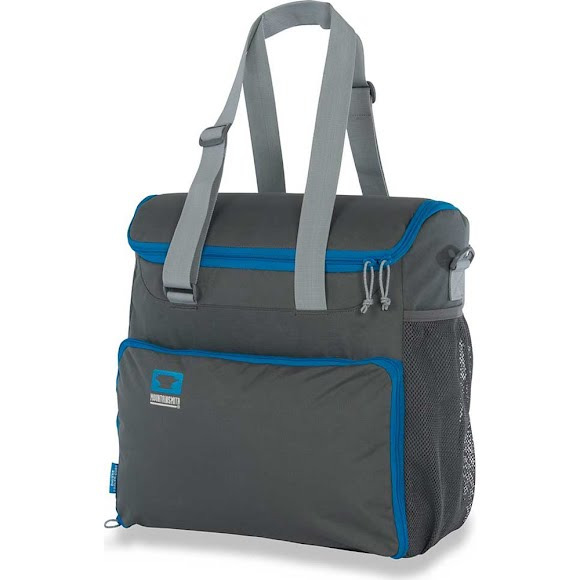 The perfect road trip partner, the Deluxe Cooler Cube's insulated sides keep your food and beverages icy cold. This cooler works well as a stand-alone piece or integrated with Mountainsmith's Modular Hauler Systems. Use this for tailgates, picnics, etc. and utilize the built in drink tray for spill free recreation and the mesh side pockets to stash snacks and extras. Bottle opener included! The perfect road trip partner, the Deluxe Cooler Cube&apos;s insulated sides keep your food and beverages icy cold. This cooler works well as a stand-alone piece or integrated with Mountainsmith&apos;s Modular Hauler Systems. Use this for tailgates, picnics, etc. and utilize the built in drink tray for spill free recreation and the mesh side pockets to stash snacks and extras. Bottle opener included! Measurements 15" x 15" x 7.5"